Revolver head : 8 pcs. Spindle r.p.m. range : 60 - 6000 r.p.m. 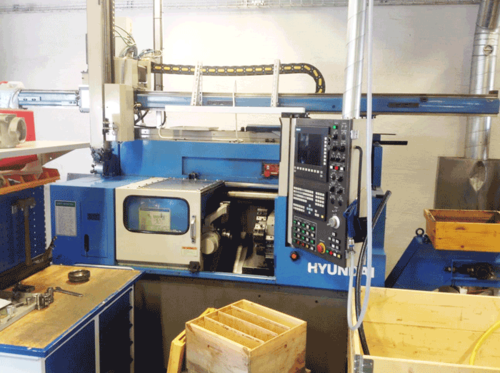 Founded in the year 2012 in Coimbatore, Tamilnadu, India, Europea Engineering Works has grown into a trustworthy company for its clients all over India when it comes to their imported second-hand and used machine needs – from Metal Working machines like CNC Milling, Turning Centers, HMC, VMC, VTL, and Drill Tap Center. With a vision to source good quality running condition machines from Europe and market them at reasonable and low costs in the Indian market we are consistently engaging and fostering this spirit of ingenuity and foresight to build a niche of our own among the customers over the years. We strive to remain at the forefront of the market for years to come, with our customer's interests and success at the heart of our drive to move forward, instilling confidence in their minds that it is possible to buy quality and reliable used machinery so quickly, conveniently, and at such low prices.